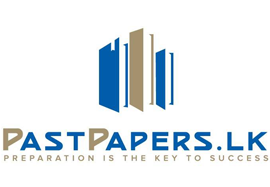 PastPapers is created to be a guide and support to all the students. 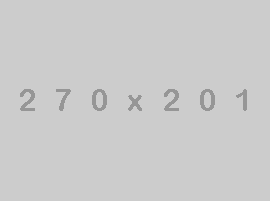 Here we understand how much time any student waste on looking for resources which should be available to them with a simple click. Our aim is the provide O/L Past Papers, A/L past Papers, or every paper in Sri Lanka which could benefit the students with their studies. There are sections that cover exams right from grade 2 to Grade 12 for school. The students who are in their higher education get exam papers and resources for undergraduate, graduate and master’s degrees. The aim is to support students in all their quests and hence for international examinations books and resources from Cambridge and other publications are made available to the readers. There are categories for competitive exams and music exam as well. We have been researching on what a student requires and to provide that exam papers along with study material and online tests are designed so that there is no other place one will have to look for. This is a comprehensive place for every student to get what they require without wasting time and money. Thus the resources are available at attractive discounts so that the students do not have to buy things by burying a big hole in their pocket. It is a place for collaboration and we are open to suggestions and feedback to improve the services. Our aim is to ensure that every student gets a chance to access enriching resources. In the quest, we have collaborated with the best publications to provide you study materials from them. Every effort is made to cover all educational, Edexel Exams and competitive exams.It is a place to find quality resources as the team undergoes a quality check process to provide the students with the best.Sri Lanka’s best publication’s books, test-series, practice workbooks all can be purchased from the site. These have been categorized properly so that one can find what they are looking for. We have, as our members, experts from the education sector who have hand-picked these resources. They understand what the latest trend is and what will be beneficial for the students. Sri Lanka’s best publication’s books, test-series, practice workbooks all can be purchased from the site. These have been categorized properly so that one can find what they are looking for. We have, as our members, experts from the education sector who have hand-picked these resources. They understand what the latest trend is and what will be beneficial for the students. For international exams, Cambridge latest and most accurate study material are made available to the students. There are term Test papers which help you create short-term goals and achieve them successfully with the resources present. We aim to ensure that Past Papers Sri Lanka for every exam should be provided to the students as it provides them with practice and real-time exam analysis before the actual exam. This builds up a confidence in the students and allows them to even work with their exam fear if any. Our members ensure that each category is created with precision right from grade 2 to a higher level competitive exam. Saved me a lot of time. Great collections and proper organization. I have found a lot of relevant last year questions to practice on. There are answer sheets that I used which helped me for quicker correction. Definitely recommend it for school students. I was preparing for further education aboard and with no idea how to start for the IELTS I looked it up. There are numerous resources I found on past papers that I could use. The best part of the solution books which helps a lot in the preparation. I was more confident with the targets I wanted to achieve. I am in the process of applying in foreign universities. I got a 7.2 band with my regular studies and this material.